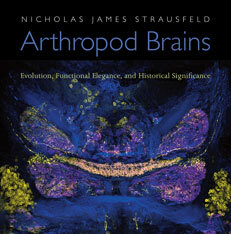 Nicholas James Strausfeld is a Fellow of the Royal Society of London and a recipient of a Guggenheim and a MacArthur Fellowship. He is a Regents’ Professor in the Department of Neuroscience at the University of Arizona, Professor of Ecology and Evolutionary Biology, and an Adjunct Professor of Art. He currently directs the university’s Center for Insect Science.